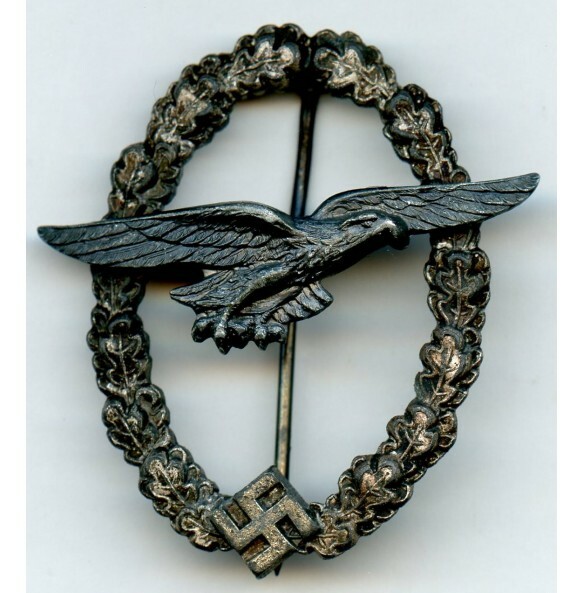 Luftwaffe glider pilot badge by C.E. Juncker, Berlin. 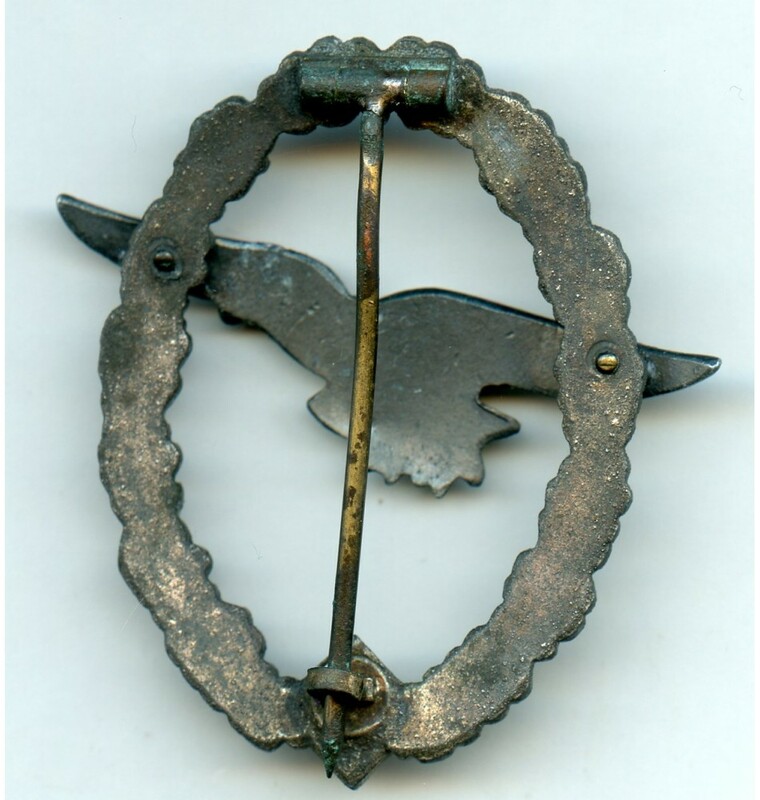 Zink constructed wreath with riveted zink eagle. Unmarked, typical Juncker design, finish and set up. Light worn condition with big amount of silver wreath and grey eagle finish present. Textbook and tight tombak rivets. No repairs, no damage. A rare original glider by the most sought after maker!